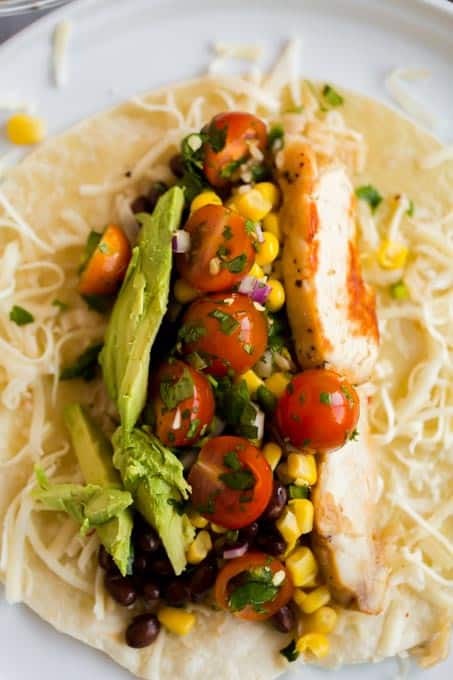 An easy, delicious chicken burrito is the perfect meal for those busy weeknights! This post has been sponsored by Tyson Foods, inc. and Uncle Bens. All thoughts and opinions are my own. Looking for a quick, filling, cheesy, and authentic dinner idea that’s homemade? This chicken burrito recipe is it! 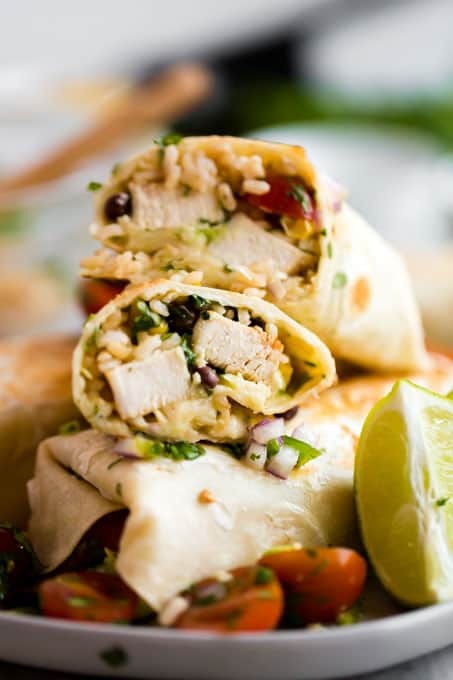 Boasting the best flavors, this chicken burrito is bursting with the awesome tastes of the southwest. It’s oh-so good! 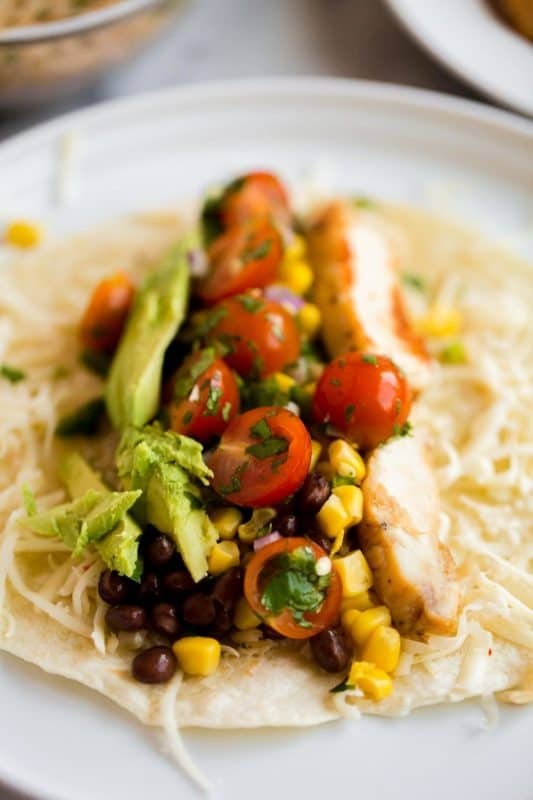 Inside the warm tortilla, you’ll find rice, black beans, corn, avocado, tomatoes and cheese. And, of course, chicken! We’re using Tyson® Fully Cooked Refrigerated Grilled Chicken Breast Strips and Uncle Ben’s® Ready Rice® Whole Grain Brown to make this meal even quicker. You can make it a little more spicy if you like the heat or keep it mild if you’ve got little ones. 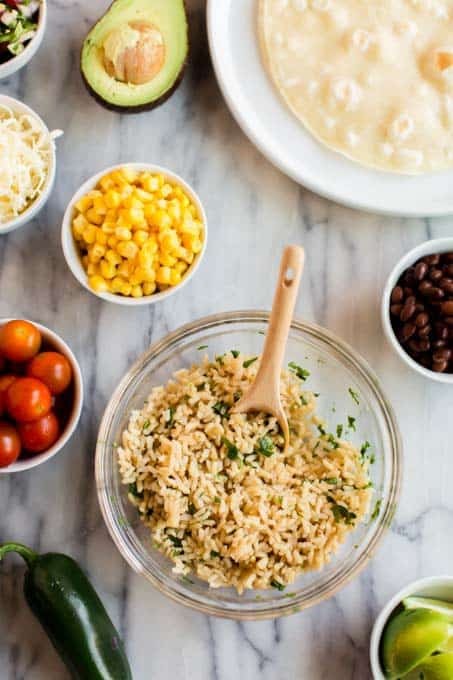 This fast chicken burrito recipe is a crowd pleaser; I know you’ll love it! 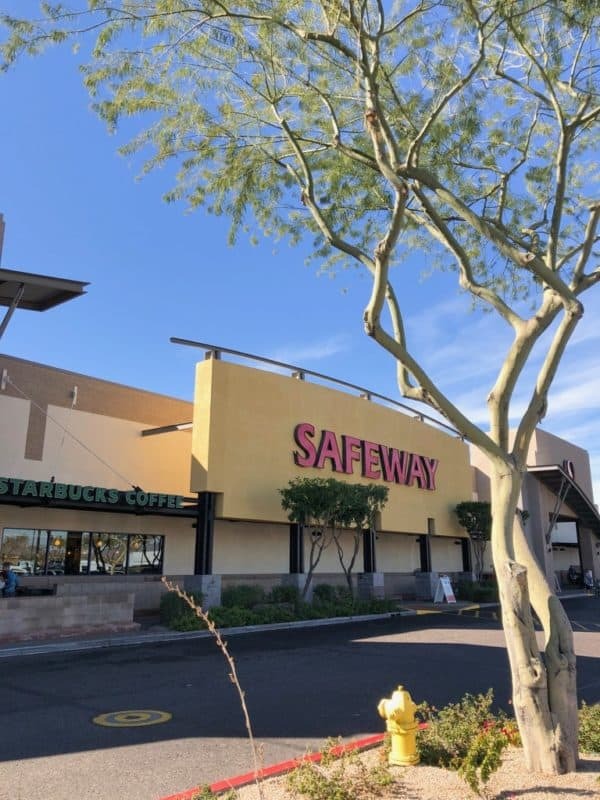 Grab your ingredients at Safeway and let’s get started. We’re back in the swing of things around our house. The holidays are behind us, and we’ve gotten back in the groove of work and school. While I totally loved the holiday break and all the fun our family had, I’m also loving being back to our routine. Over break, I took some time to do some meal planning. I love having a menu in place for our family. When we’re busy, it’s such a relief to know exactly what I’m serving. It’s also a great opportunity for me to mix it up and make a point of serving new recipes. When I don’t meal plan, we tend to get stuck in a little bit of a rut on what we eat. Can you relate? With my menu in hand, I’m able to confidently grocery shop at Safeway. I stay on budget and we don’t waste as much food when I’ve got a menu in place. Win win! Some days, I have a little more time… but with two busy boys and a husband, I’m usually pressed for time. 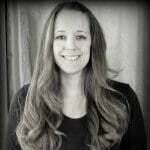 But, I still want to serve delicious, wholesome meals with quality ingredients that I feel good about serving to my family. 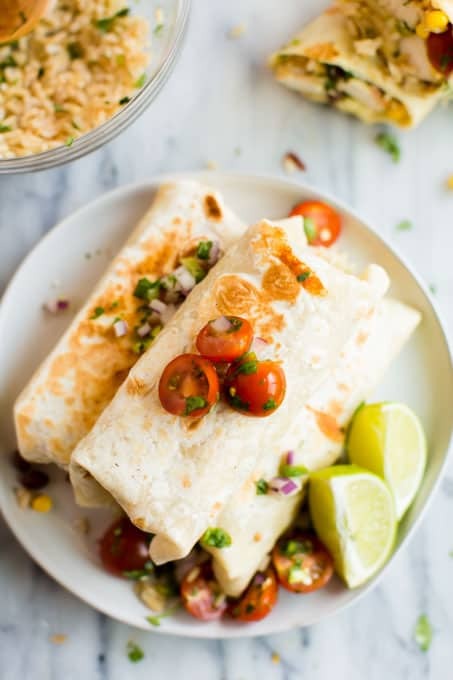 These chicken burritos fit the bill perfectly; they are packed with tasty, fresh ingredients that make Mexican night even better! Let’s talk about this authentic, homemade chicken burrito recipe. It’s the best! These simple ingredients combine to make a fast, simple — but filling — meal in only 15 minutes. You can also make it a little more spicy if that’s your thing. 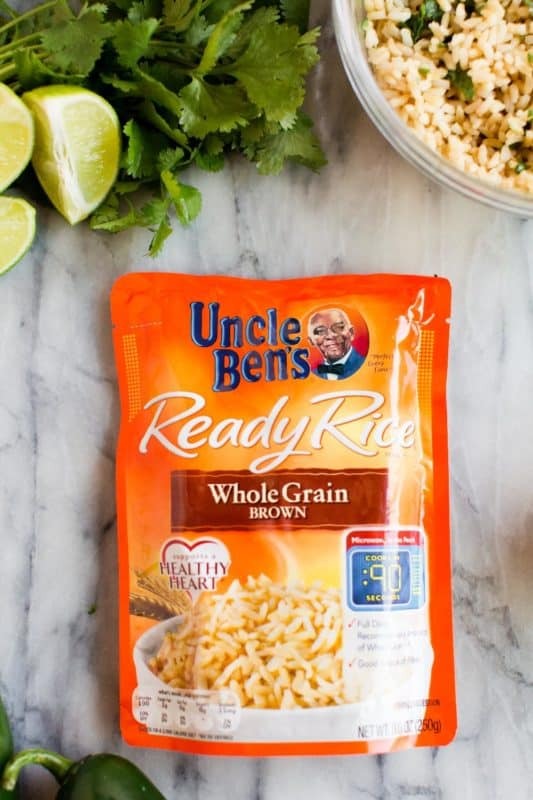 The Uncle Ben’s® Ready Rice® Whole Grain Brown is so easy to prepare. Pop it in the microwave and it’s ready to go in just 90 seconds. They also have a good variety of flavors that go with any meal. 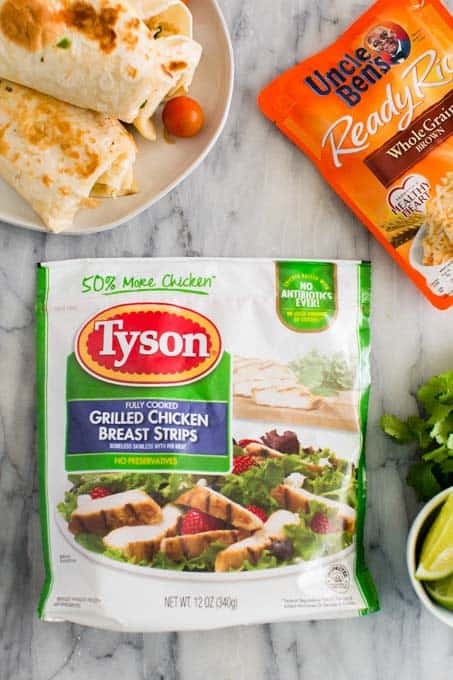 Tyson® Fully Cooked Refrigerated Grilled Chicken Breast Strips also help get this satisfying, cheesy dinner on the table quickly. It’s fully cooked and ready to serve which is so great for those busy nights. It’s also 100% all natural, made with white meat chicken so it’s got an awesome flavor. Plus, it’s all available at Safeway, so stocking up is a breeze. Almost as easy as this recipe! Now that you know what to include, let’s talk about making these bad boys. To start, make rice according to package directions. Transfer to a bowl and add salt, cilantro and lime juice. Toss to combine. Preheat a skillet over medium heat and saute chicken until warm and brown. Remove chicken and melt a tablespoon of butter in the pan. Reduce to medium-low heat. Assemble burritos by sprinkling cheese over the whole tortilla. Place your favorite mix-ins in the middle of the tortillas. Top with more cheese. Tuck in the sides and then fold the burrito over, placing extra cheese along the “seam” of the burrito. Place the burrito seam side down onto the skillet and cook for 1-2 minutes until the burrito has browned and the cheese has melted. Flip over and cook the other side for 1-2 minutes. 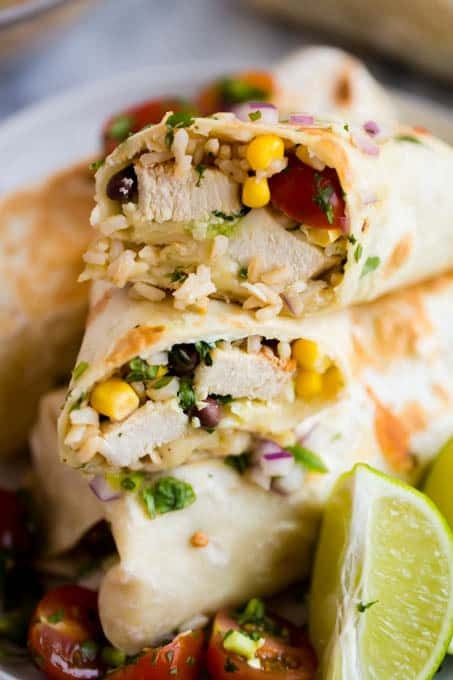 One of my favorite things about these easy chicken burritos is that they’re packed with a delicious filling, so your whole meal is ready to eat. You could even grab and go if you needed to. BUT, you can always add a little extra on your plate if you want a little more. You can include sour cream or guacamole on the side. Tortilla chips with queso or extra pico de gallo are another great option. You can also assemble these ahead of time if you’ve got one of those crazy nights where everyone isn’t able to sit down and eat at the same time. I know your family will love these yummy chicken burritos as much as we do. Enjoy! 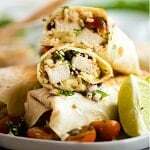 Best Ever Chicken Burrito An easy, delicious chicken burrito is the perfect meal for those busy weeknights! Make rice according to package directions. We’re totally obsessed with this easy and delicious fast dinner option!